This is a Sponsored post written by me on behalf of Piccadilly Restaurants for SocialSpark. All opinions are 100% mine. Hosting a family gathering during the holidays is something that I truly enjoy, however, I don't have the energy to do it every year. Sometimes I love being the cook, and sometimes I love being served. Is a big relief to have Piccadilly so close to home. Just knowing I can order the food and use the free time to reconnect with my loves ones makes me smile. Piccadilly Restaurants offer Holiday Feasts To-Go for Thanksgiving and Christmas with your choice of turkey or ham and all the trimmings. Each feast serves 10-14 guests. For a smaller gathering, Piccadilly’s Junior Holiday Feasts can accommodate 4-6 people. All of Piccadilly’s homestyle favorites and desserts are available à la carte, so whether you want the whole meal, just sides or dessert, we’ve got you covered! Leave the cooking to us this year. 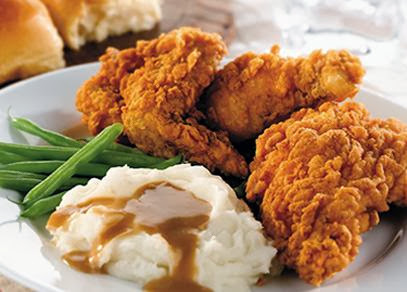 Holiday To-Go meals orders must be placed at least 36 hours in advance of pickup date. 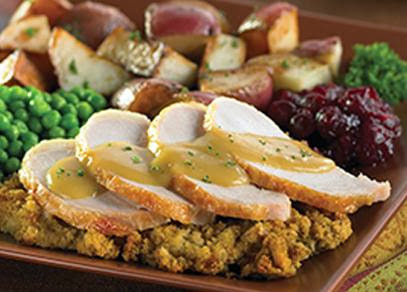 Turkey and Ham Holiday Feasts are fully cooked, refrigerated and ready to heat. Their Holiday Feast To-Go is $54.99 for Turkey or Ham. Junior Holiday Feasts are $29.99 for Turkey and $25.99 for Ham. 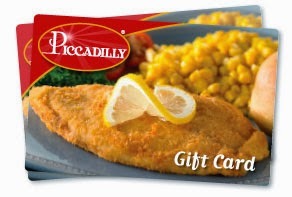 Piccadilly gift cards are also available tied to a special Holiday savings offer. For every $50 spent on gift cards now through December 31, 2013 a $10 savings card will be issued which can be used towards a Piccadilly purchase from January 1 – January 31, 2014 at participating restaurants. Piccadilly Cafeteria first opened in 1932 in Baton Rouge, Louisiana. Twelve years later, a budding restaurateur by the name of T. H. Hamilton took the reins with hopes of growing the business. Today, we have more than 60 restaurants and 80 food service locations all across the southeast. Since day one, our goal has been to serve up homestyle comfort to every person who walks through our door. Our restaurants have a welcoming atmosphere where parents don’t have to worry about kids running all over the place and grandparents can find something they love to eat. With guest favorites like Fried Chicken, Carrot Soufflé and our famous desserts, there's always something for everyone at Piccadilly. for holiday tips, new menu items and new promotions!